Choosing a good brand name for your business has always been important, and since it now also implies choosing your domain name, it has become a critical success factor in Digital Marketing. It should be a fun part of setting up shop, and it has become rather tricky. Some of our new website development clients experience a big shock when they realise that their brand name, which they've been building for a long time, is not available in the digital arena. This can be devastating, though it also offers a wonderful opportunity for refreshing one's brand and image. 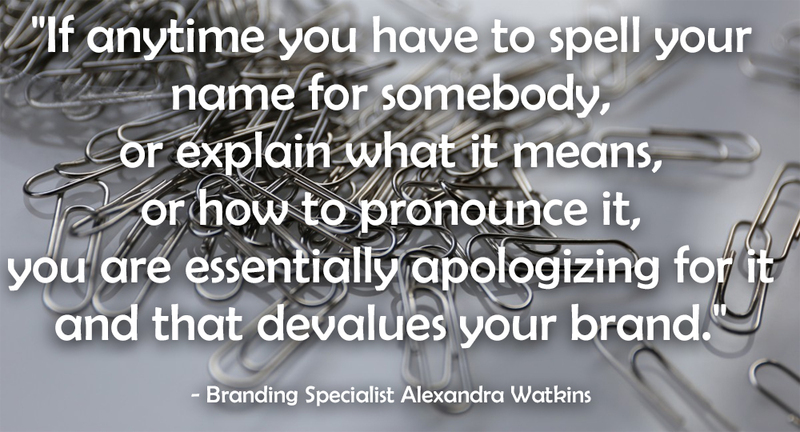 If you are just starting out a new venture, or if you find yourself with a brand name not available on the Internet, read on for how to go about it, what pitfalls to avoid and the 12-point Checklist for what makes a good brand name. It may surprise you to know that the naming of brands is a high-paying career all on its own. Naming a brand is a lot more than just amalgamating words, or jumbling, or mashing them - many people do this, but it's lazy and it seldom works. Brand names may apply at different levels, e.g. 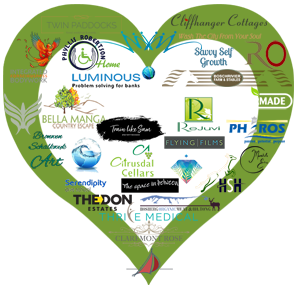 you may have an overall brand name for your company, and brand names for individual services or products. Sometimes a key product brand name takes over as the main brand name (if flexible enough). Sometimes sub-brands are made up of the overall brand name combined with a product name. I've seen some interesting brand name teachings over the years! One of my B.Com. 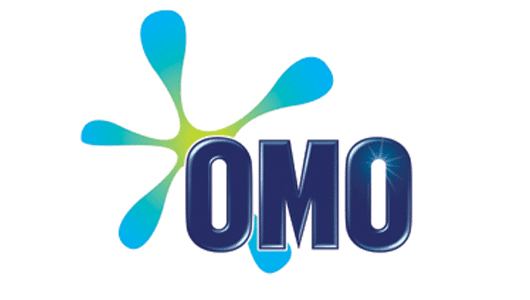 majors was Marketing Management and I vividly remember being taught that a good brand name should include mirroring "O"s as in "Omo"; as it would psychologically make customers feel that the brand is looking at them with its "eyes". More sensible advice I've come across, is that the best brand names are those that emotionally connect with the target market and the best of the best are the ones that people like to pause over and then "get", as if they've solved a puzzle. This is why metaphors work well. Whatever branding rules we've always had, were intensified a million times by the advent of Digital Marketing. People are now typing out the name in a browser instead of just reading it in a magazine, so simplicity is even more important. Once the internet exploded, choosing a name became a nightmare. Understanding the pitfalls dawned slowly and now it's a science to find a brand name that will benefit an organization on the internet. Getting the domain name/s for your brand name is now a war zone, where snappy names are bought up by cyber-gangsters to just "park" and then sell to you for an exorbitant fee once you realise it's been taken. Or, a competitor stole your brand name from your Facebook page and nabbed it first. This is part of the reason why many brand names are now entirely new words, or acronyms, or names spelled backward, or numbers and letters mixed (none of these are generally good ideas). The inventors of these felt cornered as the words they really wanted, had been hijacked already. There are also domain name generating tools like domainnamesoup.com that can help you find available alternatives, though in my opinion these are often still too close to existing or competitor brand names. Sometimes a brand name is morphed into misspelled versions (e.g. smyl instead of smile; flyte instead of flight) to get around taken domain names and while this could work in exceptional situations, it is generally better to add other descriptors to the base-word to make it unique or to keep searching. Imagine Google has a can of liquid fertiliser that it bestows on brands as it sees fit, to help brands grow. Google does this, willingly, if it finds your website worthy because it's fast, stable, uses good SEO (Search Engine Optimisation) principles and clients like what they find on your site. Google also notices that others like what you say enough to link to you. There is one snag: every can of fertiliser has a name or phrase on it. Let's say in this case it's "Bush Brats". You start a school camp for kids and call it Bush Brats. There is already a lingerie brand of the same name but they are in a very different industry right? Sure! But Google still has only ONE can for "Bush Brats" and no matter how hard you market and how much money you throw at it, you'll likely only get half the jug if you're lucky and certainly never all of it. 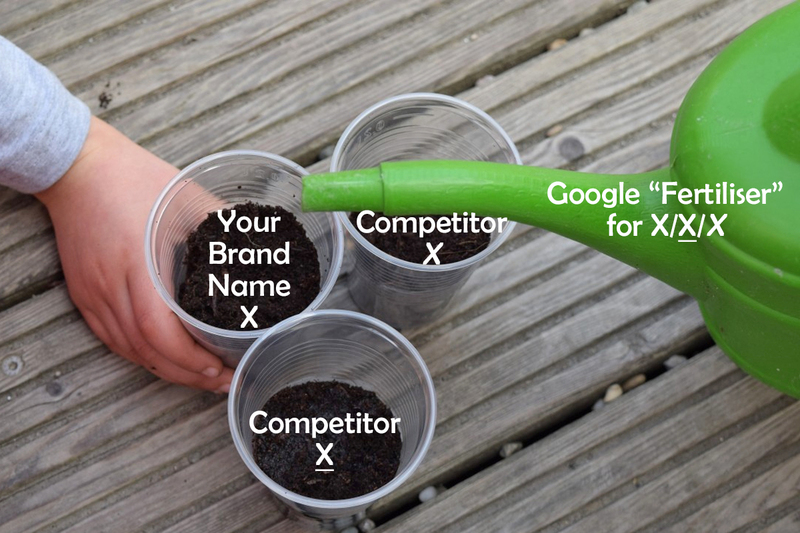 Google can play dumb too, so it may take a long time to "teach" Google why your brand Naturmade is essentially different from Naturemade, though it can be done over time and with very consistent and expensive marketing efforts. You may have no choice if you have an already established brand. But if you do have a choice, consider it very carefully... why fight an already hectic digital battle with one hand tied behind your back? Go wide - Brainstorm to find as many possibilities as you can, without judging them prematurely, and only then..
Go narrow - Once you've exhausted yourself making a long list of possible names, you start narrowing them down by measuring them against the "Ideal Brand Name Check-list" (see below). Use words describing what your business does and/or where you are, e.g. "Garden Route Mall". It can also work well if you have a famous address or street name. Use words to describe your target market, e.g. "Camp & Climb" or "Outdoor Escape". Your USP's (Unique Selling Points) can give you a clue as to how you are different and you can bring this into your name, e.g. "Faithful to Nature". Consider this if you essentially are your brand, e.g. "Billy Joel" or "Jenny Cookies", usually applicable to people who work alone in a fairly artistic field, or in the medical field, and whose name comes to mean something. Use it only if it is unique, easy to spell, not too long and not too run-of-the-mill. Word roots can deliver layers of meaning for your brand or product, e.g. Phonetic (e.g. the "eee" sound has become synonymous with little - think of bitty, tiny etc), Morphologically (using prefixes and suffixes like in "Jell-O"), and Metaphors (e.g. "Oracle") etc. Words or phrases related to the characteristics of your business, your market, or the outcomes or feelings that it brings - e.g. "Nike" - the Greek Goddess of Victory - and it resonates with winners. Consider your brand's archetype: if your brand reflects the organization's archetype, it is more likely to resonate with its ideal client. Making an emotional connection with the customers who are most likely to need and love what you offer, is the ultimate goal. Think of "Tesla" "transforming your driving experience" - magical indeed! If you speak another language, there may be a meaningful word, short and easy to spell, to carry it's positive meaning into your brand (e.g. "Ubuntu"). This only tends to work if you are marketing to people who understand the word AND if it doesn't also have a negative connotation in another language or is offensive to any social group. Use the Dictionary and Thesaurus! These tools, while seen as a little outdated, often offer the breakthrough needed as you slowly page through the section related to the sound you need, e.g. I wanted to pair something with Digital using alliteration... a quick look brought me to Digital Dame; Daringly Digital and Digital Don. You may be surprised to know that words go in and out of fashion. Volution, meaning one turn of a spiral or coil, was a commonly used English word from 1500 to the late 1800's. Since we registered our previous Brand Name 'Small Business Volution', Volution started popping up in other brand names very quickly and there is now a large Digital Marketer called Volution who copied us! This is part of the reason why we re-branded to Website Silk in early 2019. The ideal brand name (and hence domain/s' name) can be tested against this checklist; tick off as many of the following as possible. The domain name has to be available in all its forms (e.g. we own websitesilk.co.za / .com / .org / .biz / .net / .uk ). You'll want the name to also be unique on social media and in general, e.g. famous books or movies may not have websites of their own but Google will clearly favour them over your new start-up! Consider that some companies run all their marketing via social media and spend budgets that will make you shudder - that jug of Google fertiliser spreads across social media pages too. You don't want to build a business only to then find out the name was Trademarked by someone else. The opposite holds true too - don't try and copy a competitor as you may fall foul of legal issues and clients can sniff out frauds anyway. Trying to copy anything a competitor does is a recipe for disaster in the digital world and for more than the obvious reasons. If you try and copy content, your content will not attain ranking as it is seen as "duplicate content". Copying a name will not work. It stands to reason that you need to check your country's Trademark Database and stay way clear of anything even remotely similar to anything registered there. I built up a resort called Forest Edge, over a decade, to a multi-award-winning resort with unheard-of high occupancy and ratings. Travelers from around the world started to seek us out. Then I became aware that a guesthouse opened in the Cape calling themselves Forest Edge (and the grading agency didn't even blink!) and I contacted them to warn them before their website was even up, but they continued anyway. It took costly legal action and eventually trademarking "Forest Edge" to stop them. What they did would not only have harmed me if I allowed it, but themselves too! The shorter the better for everyone, not only for clients to remember and spell, but also to reduce your own advertising spend later on - fewer characters, less space needed in visual ads, on signage etc. Some gurus use the arbitrary number of 15 as a mental maximum for most users to easily remember. It helps if there are repeating sounds, letters, rhyming or a strong image associated with it. Think of flipflops.co.za. Words that elicit an image in the customer's head are even better as it is easier for the brain to remember an image than just a word (remember using images or mind-maps to memorize facts at school?) "Amazon" uses imagery very successfully. A name should be meaningful to customers rather than to yourself. People are suffering informational overload and tend to simply not notice names that do not "grab" them. This can also tie in with your brand archetype, where your name and logo could be informed by the archetype. A good name is not easily confused with others. Adding "the" in front of the name or adding a hyphen, or slightly changing the spelling does NOT make your name unique. It only confuses customers, and for the same reason search engines don't give you that can of juice you so want and need to survive in a cutthroat digital world. Maybe you didn't copy another brand, but you independently grew over many decades and now you are ready to enter the Digital Arena, and to your shock you find out that someone else has taken the name, or the domain. The closer your name is to an existing one, the worse as it will affect your SEO and the costlier it will be to market on the internet. 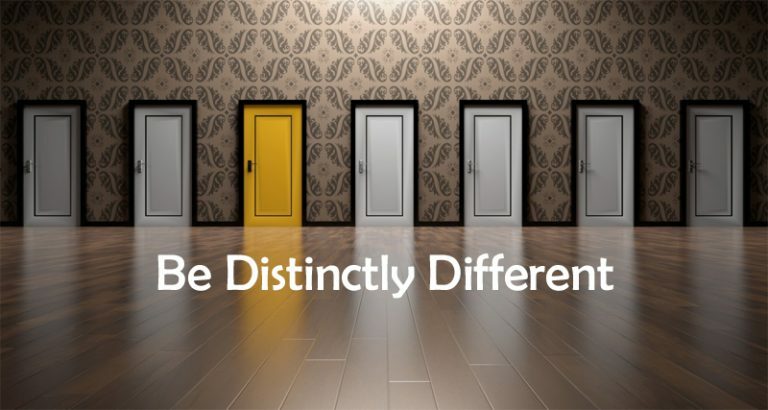 Being distinctly different from your competitors, on all levels, including and especially when it comes to branding, is one of the secrets of successful digital marketing. The easier to spell your name the better. If there are common misspellings for the word/s you increase your trademark costs, or even the cost of its cheaper cousin: buying up domain names for all the possible (mis)spellings of your name. Avoid double letters, e.g. bigbusinesssolutions.com. Use hyphens with extreme care as they may be seen as spammy and do NOT lend the uniqueness you may think they do. AND customers will forget the hyphen and you hand business to your competitor on a silver platter. Although using keywords in your domain name is not the Google hack it used to be, it helps to include descriptors that hint at the kind of business you are in, e.g. "Woodcutters Cottages", or "Jacaranda Driving School" (Jacarandas bloom at the time many school leavers or their parents start thinking of driving lessons... and I bet you can even guess where they are situated!). This helps provide instant context for a site or ad viewer, especially if it doesn't maim any of the other guidelines in the process. While your domain name may be available in some fringe domain circles, stick to the more trustworthy .com and .co.za (or whatever it is for your country), else it may come across as dodgy if hosted on some small, unknown island's server. It really helps to spend more time and energy to really connect emotionally with your audience. It helps if the name evokes a positive feeling and if you really want to push the envelope, to evoke the need for action (e.g. words that function as both nouns and verbs can subtly elicit action). It's been said that great brands don't convey, they evoke. "Liberty" and "Tiger Oats" work well. "Twitter" is superb and has that subtle action feel to it. Names that lend themselves to themes can go a long way to use in all facets of marketing, for example think of "Woodcutters Cottages" which can then have individual buildings named "The Logger's Hut", "Sawmill Lodge" and "Hardwood Bar" etc. Your trails could be indicated with a little saw icon and your menu could offer sections like "Wood Chips" fries or "Lumber Lunch" meals or "Bark Breakfasts". Sometimes this can be a little overpowering, but if approached with care, it works well and helps to entrench the brand. We started out offering digital consulting to small business and very soon realised that all our offerings (retainer services, Google Ads, e-mail marketing and more), essentially stem from our core skill: custom website development. This is another reason why we rebranded from Small Business Volution to Website Silk - to be punchier and more descriptive. Look beyond your current product/s or service/s and make sure your brand name will stay applicable as you grow. This also includes the need for a brand name to be able to stand the test of time especially if it will outlive its founder, i.e. to not just be popular with people from a specific era (e.g. using a phrase from a popular song). Ideally your new brand name should tick all the above boxes. Sometimes one can bend some of these guidelines if a name really popped or if descriptors were particularly important for the applicable industry. If your possible brand name fails 3 or more of these, I'd recommend you keep looking. SO, YOU WANT TO RE-BRAND? After reading this, you may be considering changing your name. Before rushing ahead, it is important to first consider legal aspects and also how long you've had the name, and how much equity you brand name has. For some firms the amount of signage, price-tags, business cards etc that would need to change also becomes a consideration. It also depends on the nature of your business. If you are unlikely to have a lot of repeat business (e.g. wedding planning), it is easier to change a name. Even if you do get some repeat business, if you've done things right and you have your client's e-mail addresses, you can re-brand and make a splash out of it on Facebook, on your old domain name (which you keep for a while) and by e-mailing your existing customers. Voila! Technically, though, there are a lot of pitfalls and be sure to read our post on porting a website to a new domain here. You can auto-forward website requests from your old domain to your new domain and as long as people understand what happened when they do land on your new site (e.g. a small notice about the brand name change from X to Y), all is well. Remember to change the referring links from Social Media and other websites as well as to change the landing pages in your PPC / Adwords Campaigns. You will also need to give Google clear instructions via the Webmasters Search Console on how to handle your domain name change. Expect to get frustrated as almost all the unique and amazing names your brain (and online tools) offer you, will already have had the domain name registered. Just keep at it. I remember literally crying when I saw that webwizard .com, webweaver .com and webwhisperer .com were taken. Lastly, PLEASE work with a professional to make sure the technical side of a name change is handled right! A professional should also help you do some homework around your brand archetype before you embark on changing your name and next, creating a new logo. 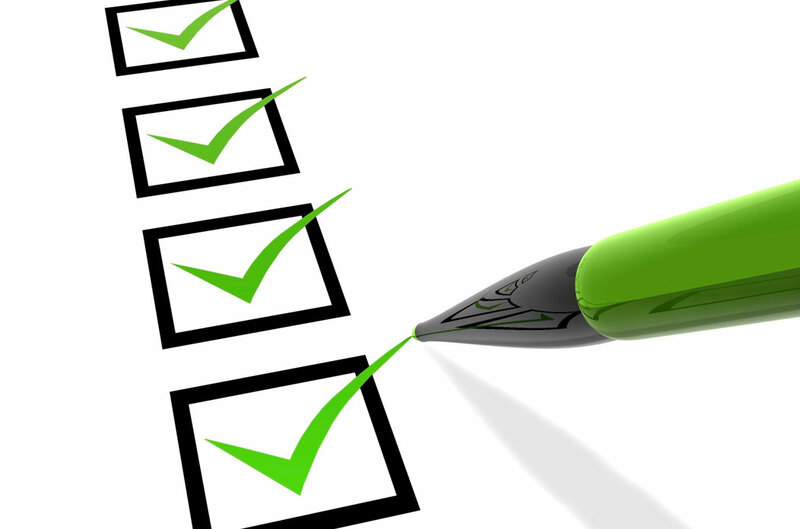 Do ask WebsiteSilk for help to avoid a lot of easy mistakes and unnecessary costs. 2019-02-19 Beatrice Lasseter: This article is amazing and was extremely helpful for me as I was navigating a re-branding exercise. The clarity of your post... you are an expеrt on this. Please carry on with this work!